By Thoriq Firdaus in Web Design. Updated on November 29, 2018 . This time we are going to look into their sibling: repeating gradients. 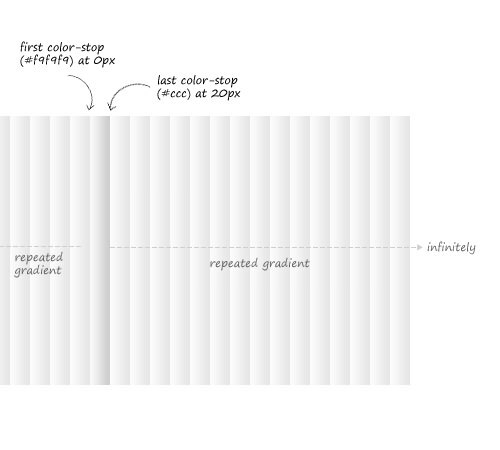 Repeating Gradients is essentially an extension. The syntax is similar to how we define Radial and Linear gradients, only that as the name implies, it will also repeat the colors in a specified direction. To repeat linear gradients, we can use this function: repeating-linear-gradient, while to repeat radial or elliptical gradients we use this function: repeating-radial-gradient. There is not much difference for the rest on the code, except for the color repetition. Below is a simple illustration to describe how this color repetition works. Although the image above only illustrates for repeating linear gradients, the basic idea also applies to radial gradients in which the colors will repeat infinitely, in this case, in any direction. Follow the link below to see the demo. In the next section, we will show you how we can make use of CSS3 Repeating Gradients in real examples. The most common implementation of Repeating Gradients is to create background patterns. In this example, we are going to create simple vertical-stripe patterns. 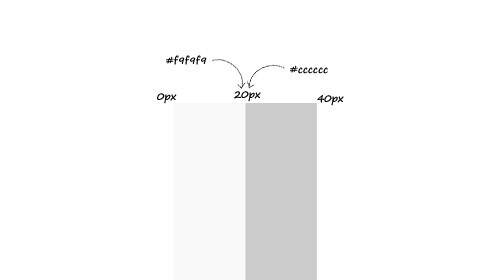 Notice how we define two different colors – #f9f9f9 and #cccccc – in the same spot, 20px. This example will sharpen the difference between these two colors and eliminate the fuzziness. To direct the orientation we simply change the angle – 90deg will direct it horizontally while 45deg will direct it diagonally and so on. 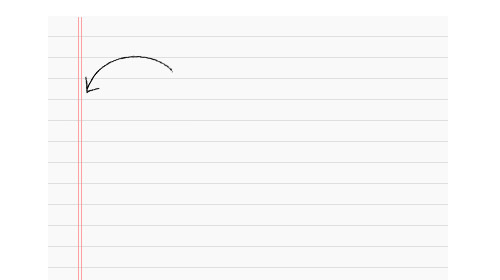 In this second example, we are going to create a paperline that you might often see in a notebook. To create this effect, we only need a div, no images, only CSS. Notice we also added CSS3 background-size property to specify the sizes of background images for 100%, 20px. Although CSS3 Gradients display ‘colors’, it’s actually categorized as image, not color. 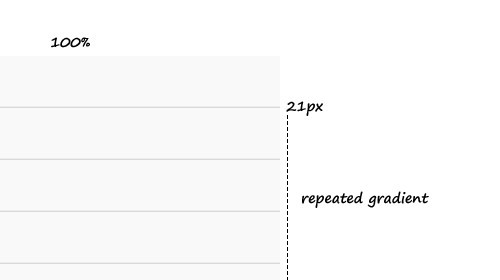 Next, we will use :before pseudo-element to add a stripe on the left side of the paper. And we are done, it’s really simple right? We can now see them all in action from the links below.